Have a greay end to the weekend and a good week, folks. 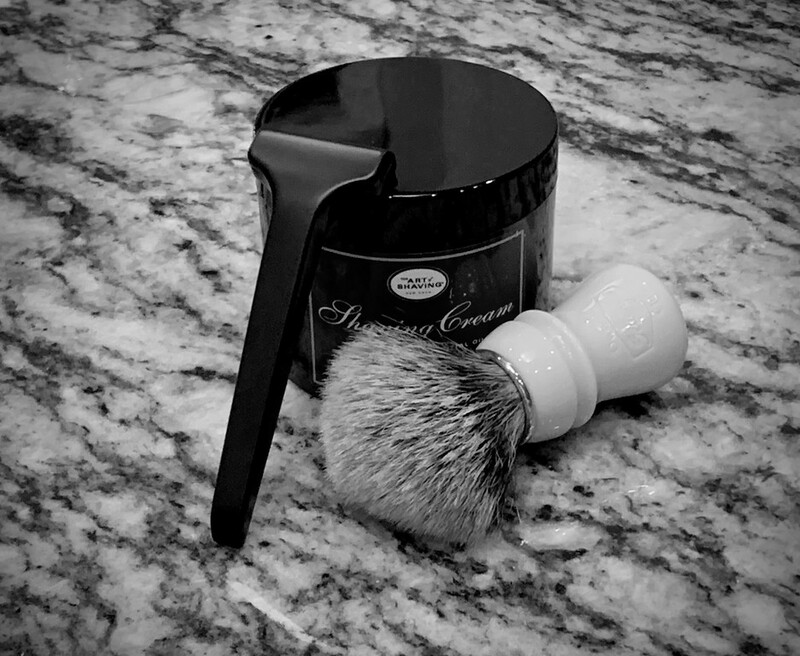 The Atlas handle & soap both courtesy of @Wayne Pritchard . Thanks Wayne, you're an absolute gent. 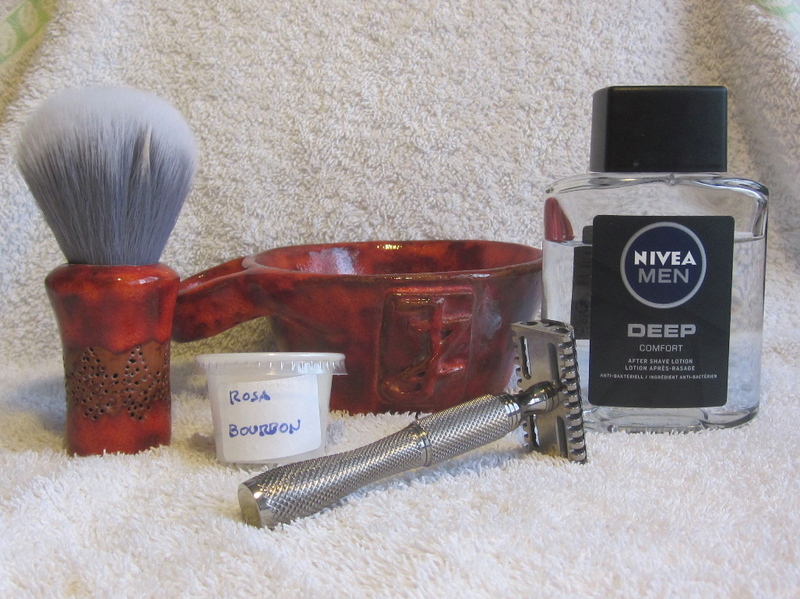 This was my first shave in a week & my first use of the 7o'clock blade as recommended by @wayne_m . Fantastic blade Wayne! Pre-shave: Warm shower, Kiehl's Ultra Face Cleanser, followed by cold water splash and Castle Forbes Pre Shave. Post: Cold water, Bart's Balm Lavender Oil and Bart's Balm Lavender Aftershave Balm. 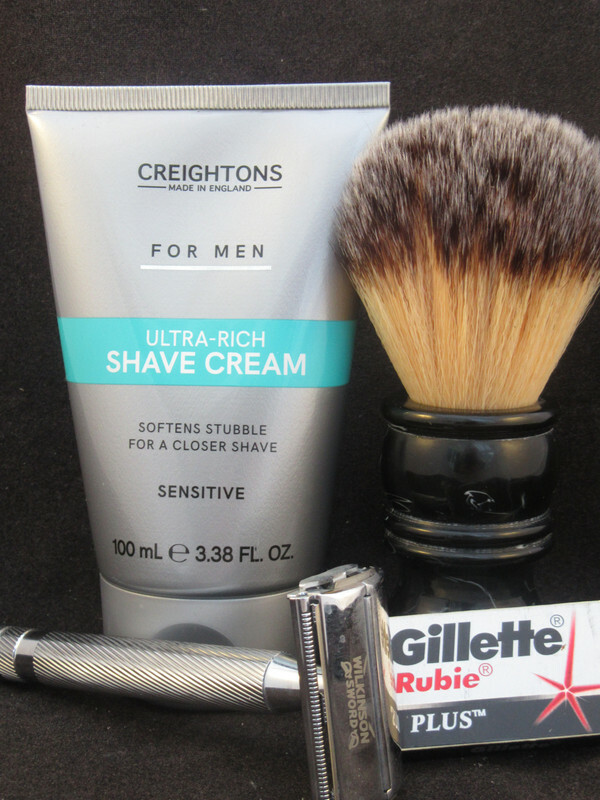 A 2 pass shave today - a third pass would have been to much, while I had a good shave with the Dart on Saturday, however, my skin felt tight after 3 passes. I have read more Dart reviews; there seemes to be a mixed camp - some find the razor verry aggressive, with others less so. The thinking on the Dart (according to the reviews) appears to be to shave with the razor handle just off parallal to the face. Taking the advise from the reviews on board, I went for a steeper shave angle, which felt wierd- very wierd, but that change worked out well. Its been a while since I used Bart's Balm oil and balm - very good stuff; as ever YMMV. Tried the iKon stainless steel bulldog handle on the Mühle head this morning and it felt good. 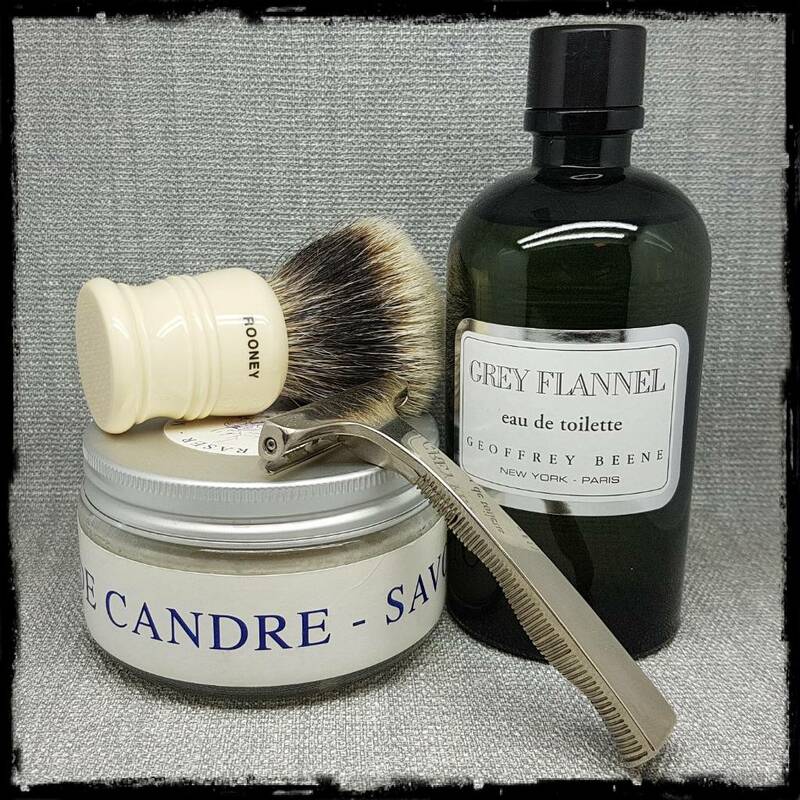 Close shave and happy citrus scented face. I found an unopened tub of Body Shop Shaving Cream (from before they started using Maca Root). It lathered perfectly! I use the same combination of Head and Handle and find them a great match. Finished with a nice dose of Issey Myake L'eau D'Issey. Very enjoyable. Have a good week Gentlemen.